New ISS crew members, Kenya readies for Obama, protests in India, and more of this week’s best photos. 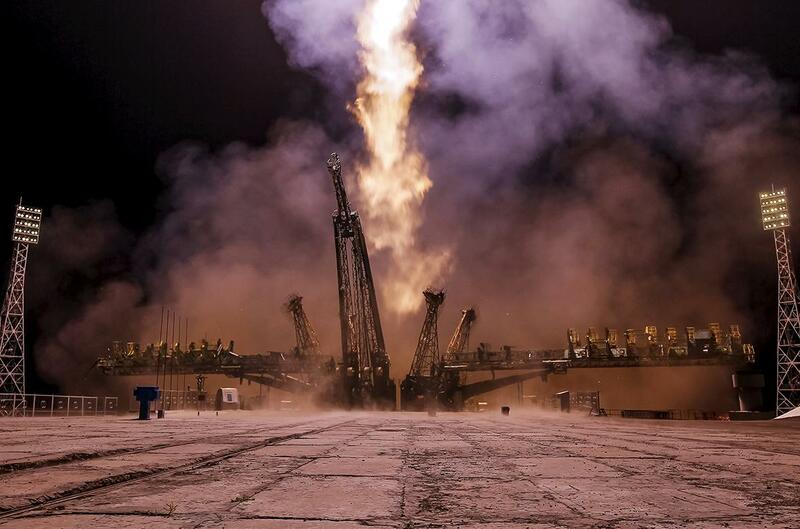 The Soyuz TMA-17M spacecraft carrying the International Space Station crew of Kjell Lindgren of the U.S., Oleg Kononenko of Russia, and Kimiya Yui of Japan blasts off from the launch pad in Kazakhstan on July 23, 2015. 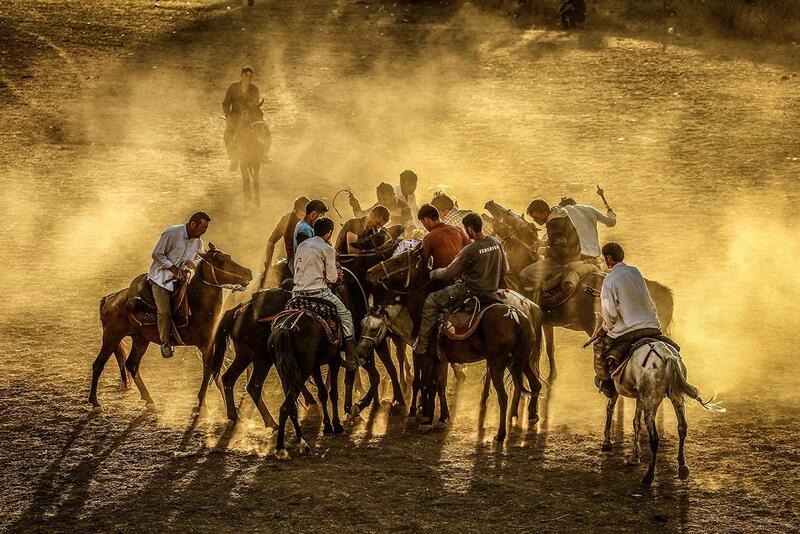 Kyrygz Turks play the traditional Central Asian sport Buzkashi in Van, Turkey, on July 21, 2015. Buzkashi, the national sport of Kyrgyzstan, is a centuries-old tradition representing steppe life where riders separate in two teams and struggle to grab a goat’s skin. 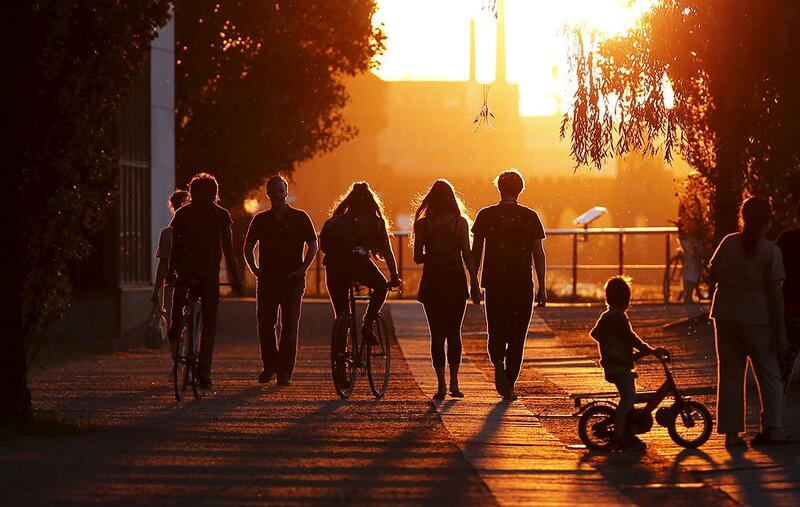 People walk on the embankment near the Spree River in Berlin on July 21, 2015. 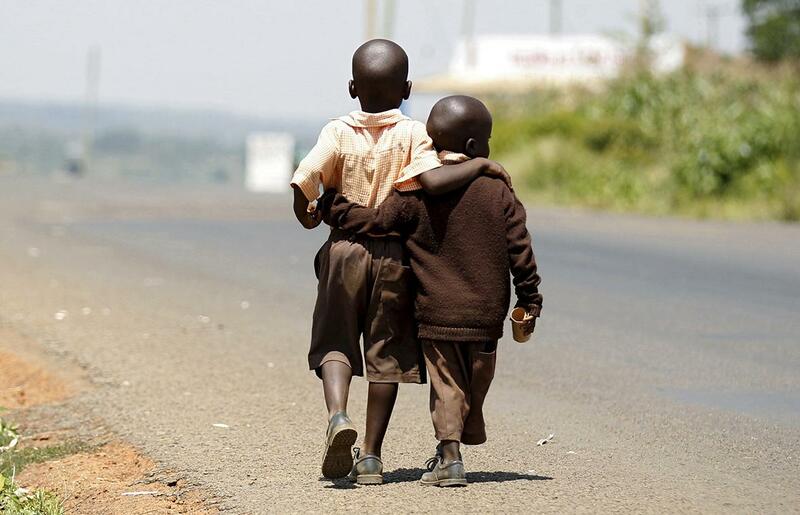 Boys walk home for lunch from school in Kogelo, Kenya, on July 16, 2015. U.S. President Barack Obama arrived in Nairobi as part of a brief visit to Kenya and Ethiopia on July 24, 2015. His ancestral home of Kogelo is home to Sarah Hussein Obama, his step-grandmother. A policewoman tries to stop a member of the All India Mahila Congress, the women’s wing of the Congress Party, who was trying to cross over a barricade during a protest against Indian Prime Minister Narendra Modi in New Delhi on July 21, 2015. Modi is under pressure from the opposition to fire his foreign minister and a state leader amid claims they gave favors to a sports tycoon living in London who faces allegations of tax evasion. Activists demonstrate against the planned clear-cutting of trees outlined in the East Bay Deforestation Plan on the University of California–Berkeley campus in Berkeley, California, on July 18, 2015. 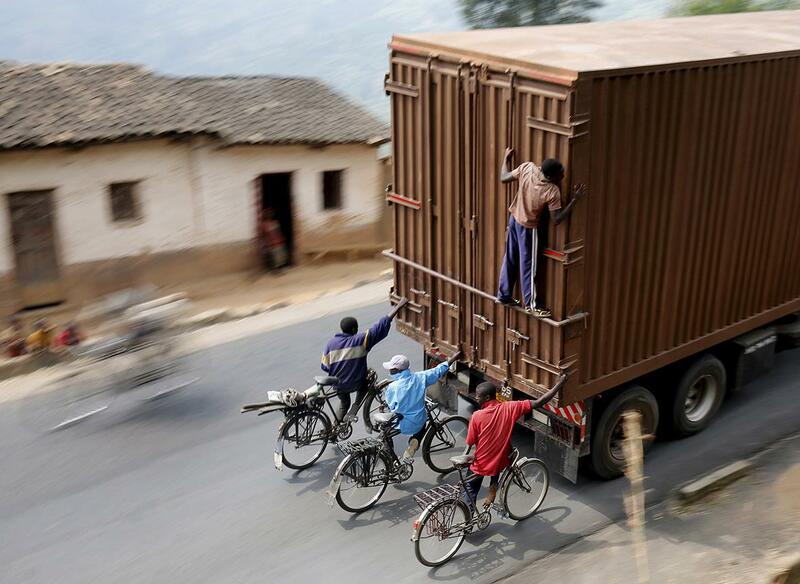 Cyclists hang on to the back of a truck outside Bujumbura, Burundi, on July 19, 2015. Each day scores of cyclists make the 45-kilometer (28-mile) downhill journey at breakneck speed from Bugarama to sell bananas, often hanging from the back of trucks for the return uphill trip. 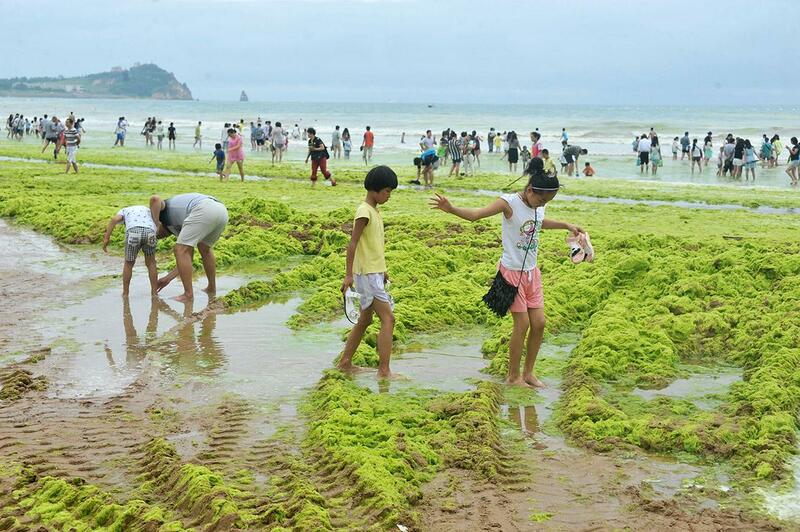 Tourists play at a beach covered by a thick layer of nonpoisonous green seaweed on July 20, 2015, in Qingdao, China. Two young oil wrestlers compete during the 654th-annual Kirkpinar Oil Wrestling Festival in Edirne, Turkey, on July 24, 2014. Wrestlers wear only leather trousers and a good slick of olive oil. Thousands of people from different age groups, cultures, and regions travel every year to see wrestlers fight for the Kirkpinar Golden Belt. 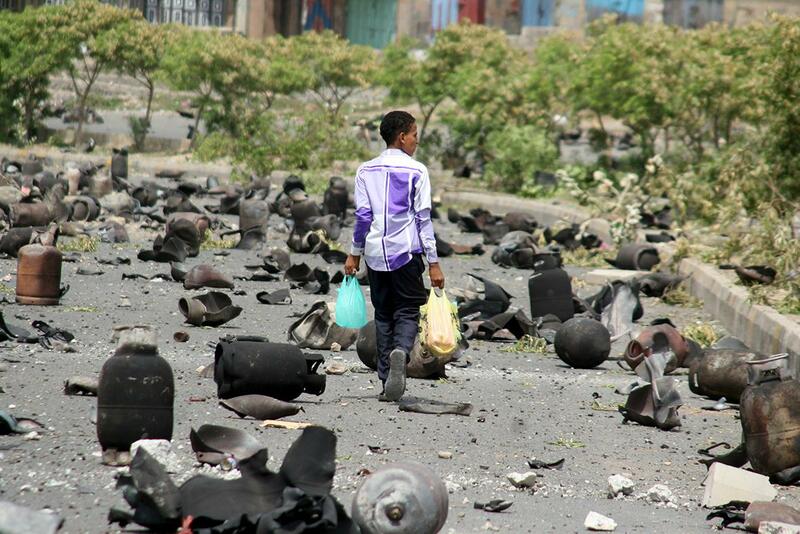 A boy walks on a street littered with cooking gas cylinders after a fire and explosions destroyed a nearby gas storage facility during clashes between Popular Resistance Committees fighters and Houthi fighters in Taiz, Yemen, on July 19, 2015. 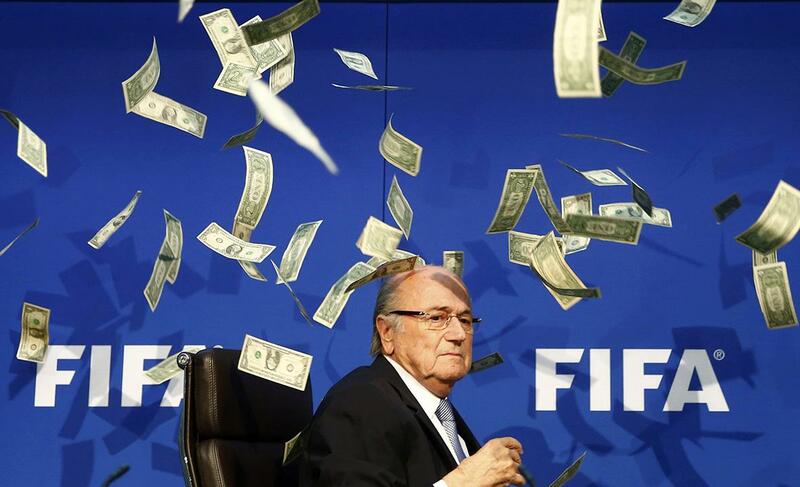 A British comedian throws banknotes at FIFA President Sepp Blatter as he arrives for a news conference at the FIFA headquarters in Zurich, Switzerland, on July 20, 2015. 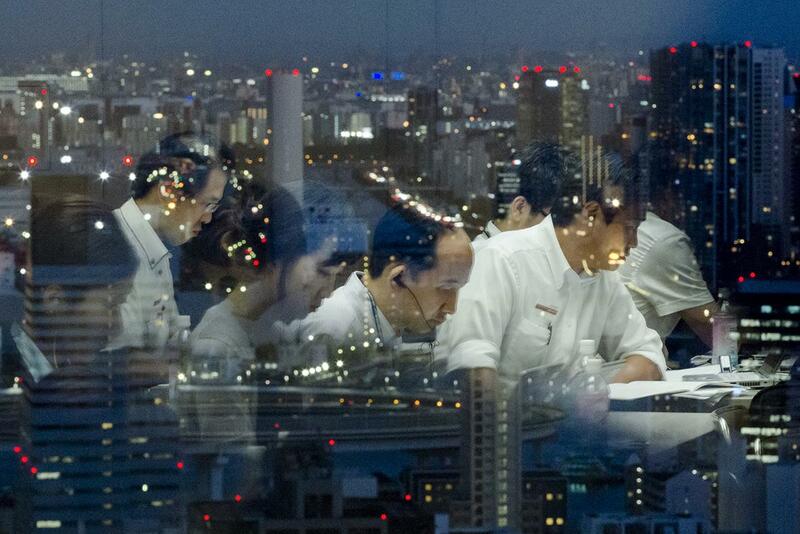 Reporters are reflected in a window overlooking Tokyo as they work at the Toshiba headquarters after a news conference on July 21, 2015. Toshiba Corp’s chief executive stepped down after an independent investigation found he had been aware the company had inflated its profits, in the country’s biggest corporate scandal in years.